"Tall" Ted Farr : I'm doing great! How are you? I am asked the question all the time and I get it. Friends and family are sincerely interested to know how I'm doing after throat cancer. It’s been more than two years since diagnosis and treatments. I see my oncologist for a check-up every four months. It is still stressful in the days leading up to the appointment. Am I really doing as well as I feel? Is there something I don’t know about? Stress usually gives me a cold sore. I have another one so I must be stressed and I must have just seen the doctor. I continue to experience improvements in my health and well-being. Not as dramatic as say a year ago but still getting better all the time. Here’s what I do know. My weight is back and has stabilized at around 196 pounds, a good number for me. I am able to eat just about anything I want. And, on days when I am very hungry I am able to go back for seconds. I have to be careful with spicy or acidic foods, especially acidic. I still don't like seafood or mushrooms. Radiation did nothing for my personal menu. The ringing in my ears hasn’t changed. It was a side effect of the chemo. I’ve had my hearing tested. There is a sharp decline in my ability to discern high pitched sound. You get used to it though. There is a noticeable return of saliva. As you know from following my cancer journey, the radiation treatments knocked out my small saliva ducts. That’s the spit you need to process food. It’s also the source of the enzymes that fight tooth decay. I have tried a number of products without success, including a special lozenge available only by prescription. That was an expensive fail. Amazing how chewing peppermint gum can turn on the saliva tap. I am able to go for considerable time without having to drink water. This means I don’t have to carry a water bottle while shopping. Water starts to taste bad toward the end of the day. I continue to use milk to process dry food. My energy and stamina are both good and improving. They are so good that I am itching to get back to work. I’ve been off for far too long. While I still need to rebuild strength and muscle tone, it’s getting better. I am able to go 5 – 6 hours at physical labour such as yard work. There are plenty of water breaks because exertion turns me into a mouth breather and that results in extreme dryness. Once again, you learn to deal with it. I sleep soundly and with only limited snoring. I am under dentist orders to use fluoride trays nightly. The coating for some reason has convinced me to keep my mouth shut while sleeping, even on my back. Terrie is much happier and for that matter, so am I. There’s no longer any need to continually drink water through the night, which means there’s no need to constantly be heading to the bathroom, which means much more restful sleep. I feel a bit like an evangelist. I want to tell my story to as many people as possible. The central theme is simple. Be aware of your body and any unusual changes. 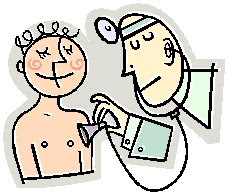 Get regular check-ups with your doctor. And, enjoy every minute you have on this earth. There’s nothing like your life being threatened to heighten your sense of what truly matters.